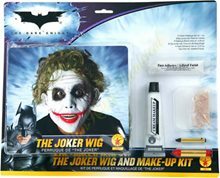 Deluxe The Joker Make Up Kit.Includes: Wig, one tube water washable white cream makeup, one small black makeup stick, one large red makeup stick, mouth scars and face adhesive.Available Size: One Size Fits Most Adults and Teens. *Costume and Accessories Not Included. 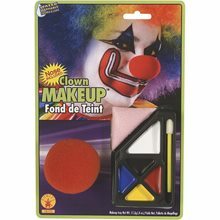 Sold Separately.Complete your Joker costume with this Deluxe The Joker Make Up Kit! Comes complete with wig, one tube water washable white cream makeup, one small black makeup stick, one large red makeup stick, mouth scars and face adhesive. 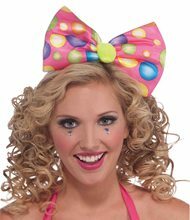 Circus Sweetie Headband Bow; Accessorize your Circus Sweetie Costume with this big and brite bow headband. Includes: Headband with attached bow. Circus Sweetie Polka Dot Pantyhose; These sweet stockings will go great with your cute clown costume! Includes: One pair of vibrant polka dotted stockings. Nylon. Hand Wash. Does not include shoes.  Clown Stackable Makeup.Includes: White, Red, Blue, Yellow and Black Cream Makeup. *Costume and Other Accessories Not Included. Sold Separately.Multi-color Makeup Stacks contain high-coverage cream makeup in stackable, reusable containers. 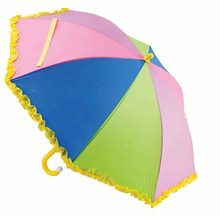 Choose from one of our many color combinations to create the perfect design. 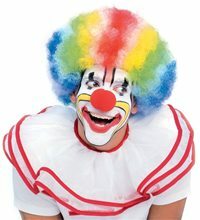 Clown stack includes white, red, blue, yellow, and black cream makeup. Available blister carded. Circus Sweetie Purple Wig; You don't have to be clowning around to wear the Purple Circus Sweetie Curly Adult Costume Wig. Wig only. 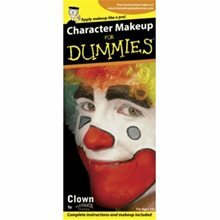 Dummies - Clown Kit.Includes: Makeup and instructions.Clowns can be cheerful or scary, but either way, it’s fun to pretend. 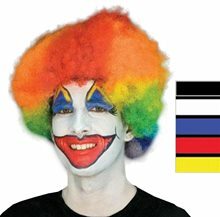 With this kit, learn how you can achieve the basics of the classic clown look — white face, big red smile, and dramatic eyebrows. 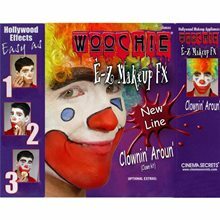 Clown Around Makeup Kit.Includes: Cream Makeup white, red, blue, Professional Synthetic Brush, Makeup Sponges, Powder Puff, Colorless Powder, and Detailed Instructions. *Costume and Accessories Not Included. 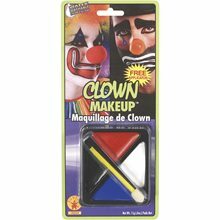 Sold Separately.Clown Kit features Cream Makeup (White, Red, Blue), Professional Synthetic Brush, Makeup Sponges, Powder Puff, Colorless Powder, and Detailed Instructions.